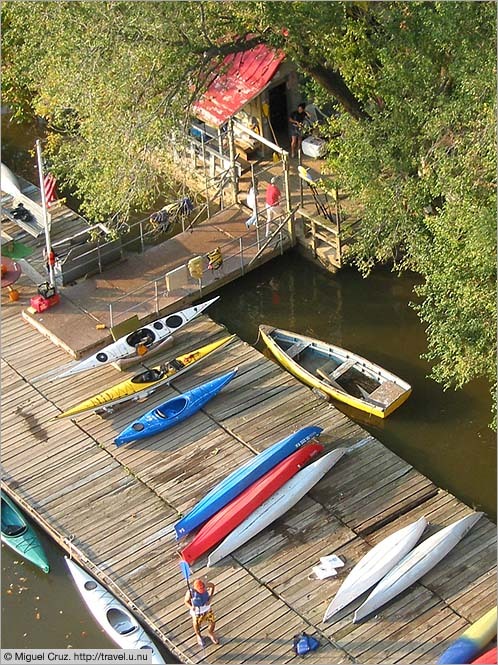 Jack's Boats is a Potomac river icon. The beneficiary of an unwritten grandfather clause in the Park Service's development plans for the waterfront, Frank Baxter (son of Jack, now deceased) rents out canoes and kayaks by the hour all summer long, then hits the road in his camper when the cold weather comes. But when he gives the place up for good ("which could be any time now") the Park Service plans to redevelop the land into a "riverboat theme restaurant." This is pretty unpopular with the thousands of regular customers who come here to exercise on the water or just sit under the trees and watch the river roll by.